Meet Label Gator is a new, introductory video describing our horticultural automation, labeling options, and even our brand values. We want to save you money and also help your business grow with practical solutions. As a result, this video touches on the various options we have to improve your production line. Label Gator offers labeling automation systems to save time, money, and labor for growers. Label Gator’s parent company, Great Lakes Label is a label manufacturer that provides high-quality, custom printed labels for Label Gator customers. Together, these brands offer the horticulture industry an efficient way to keep up with big box store demands, as well as ever-changing trends and technology. Labels stacked pots, round and square. At a rate of up to 225 containers per minute, print and apply, or 375 containers per minute, apply only. Labels front of seed propagation trays at a rate of up to 20 trays per minute. Labels sides of round containers, square containers, trays and flats at a rate of up to 140 containers per minute. Labels sides of round containers, square containers, trays, and flats at a rate of up ti 280 containers per minute. Labels sides of round containers, square containers, trays, and flats at a rate of up to 140 containers per minute. Labels planting tags, both locking and traditional, at a rate of up to 175 tags per minute. These systems allow growers to label hundreds of containers and tags in minutes with one or two operators and label with accuracy, every time. 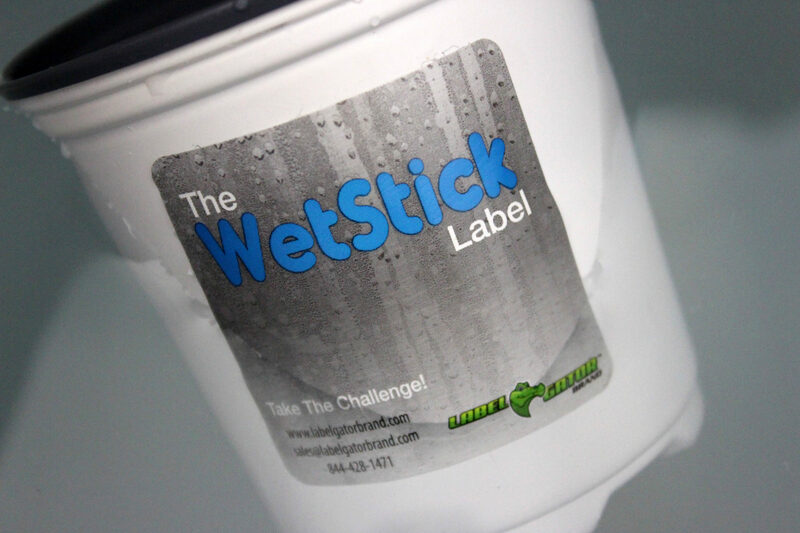 Use a label so waterproof, with such a strong adhesive chemistry, that it can even be applied underwater! Refresh label designs and correct mistakes with ease. Expand content offering more information for customers to enjoy. Download our e-book on labeling automation to learn more about how it saves time, money, and labor, so you can get back to focussing on what matters most, your plants. So, is it time to meet Label Gator on your domain? First, contact us to set up a meeting, or gather more information. Then, visit us at our next trade show to see them in action! Or, dive right in and get a quote! We’ve just released a new labeling automation e-book to help growers better deal with big box store demands, H2A changes, and waste at all levels. With so much uncertainty in the horticulture industry, this book acts as a guide on saving money with smart investments. This e-book discusses lean manufacturing as a whole, as well as labeling automation’s role in creating ease and flexibility with your business. It even answers some important questions our customers have about the practicality of label change-overs, ease of use (hint: it’s very easy), and versatility of the machines. See how options not only work as stand-alone systems, but also in-line with the rest of your production flow. Download our guide here. When filling out the form, consider also signing up for our monthly newsletter. It contains the latest industry news, developments, and even inspiration straight from our blog. This newsletter not only covers topics included in the e-book, but also on label design, marketing inspiration, and more! It’s a completely free way to add value before and after any Label Gator purchase you make. We’re here to help! After all, you want to work smarter, not harder, right? Looking to Glean Further Information? Are you looking for even more value? Also learn about the labeling and automation solutions that Label Gator offers. See how you can save time, money and even labor with our Product Guide. Click here to download the guide.